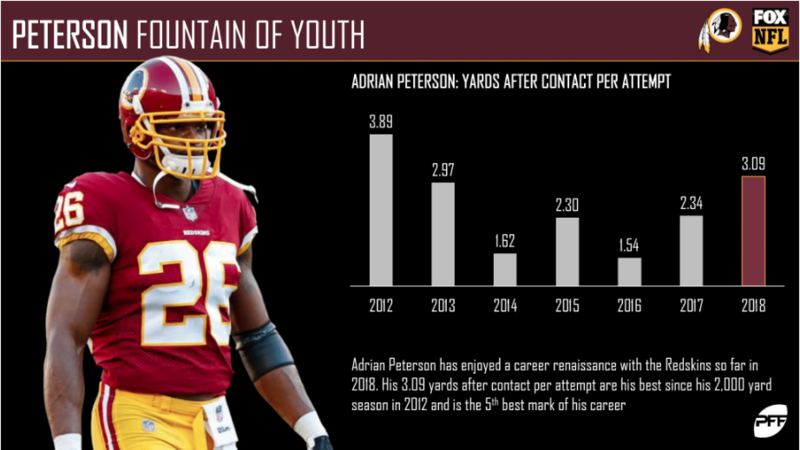 Beyond providing data for all 32 NFL teams, PFF also supports network broadcasters with game-preview packets that are used to enhance the in-game experience for fans and viewers. This Falcons-Redskins preview features the same information our broadcast partners use for team research and in-game production. Last season is proving to be an outlier for Alex Smith when it comes to deep passing. Adrian Peterson has answered the Redskins’ running back questions by proving that he can still be a workhorse. D.J. 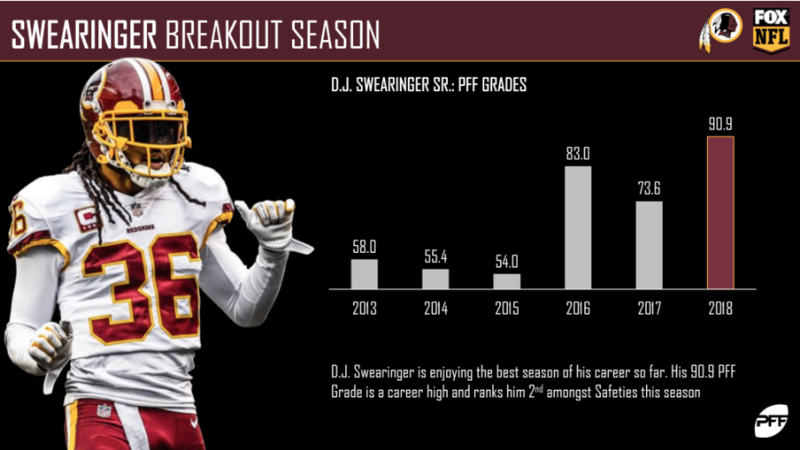 Swearinger has been enjoying a career year in 2018, earning a 90.9 overall grade – the highest grade among active safeties this season. 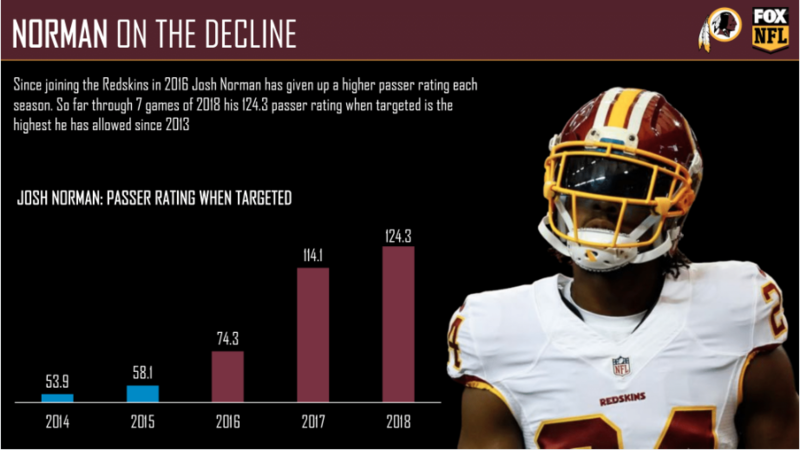 For the second-straight season, Josh Norman is allowing a passer rating of over 100.0 in coverage. 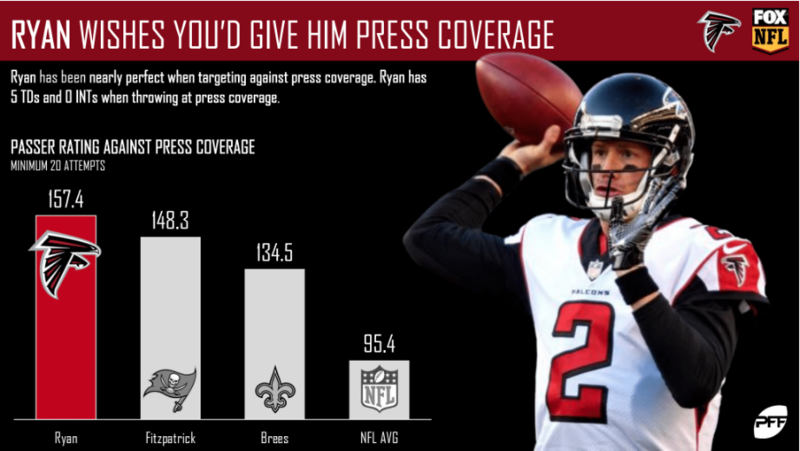 Coming off his highest graded game of the season, Matt Ryan enters Week 9 with a near-perfect passer rating of 157.4 against press coverage. 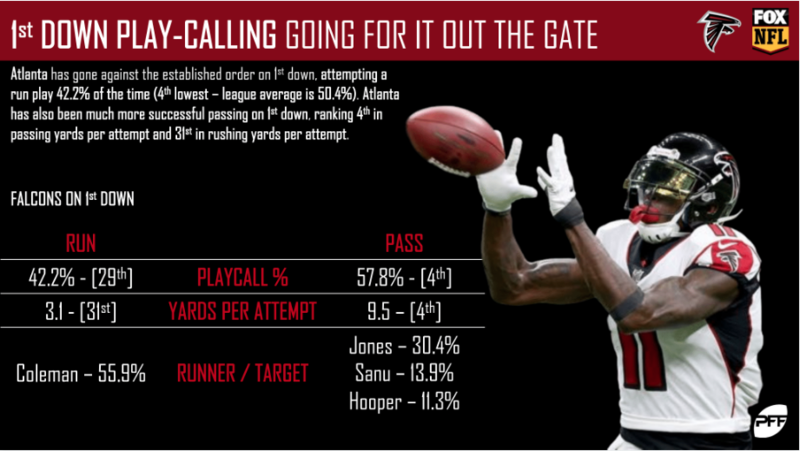 Not surprising with their receiving corps, the Falcons have called a pass play on 57.8% of their first down plays this season. 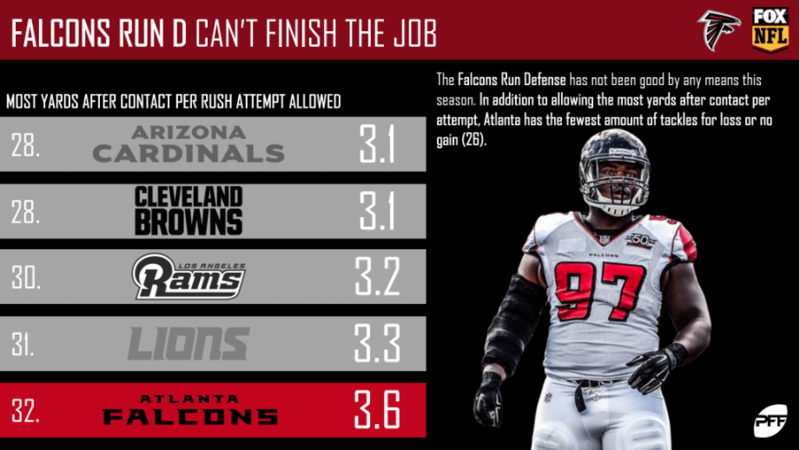 The injury-riddled Falcons defense has had trouble bringing rushers down at first contact. Their 3.6 yards allowed after contact per attempt is the worst in the NFL. 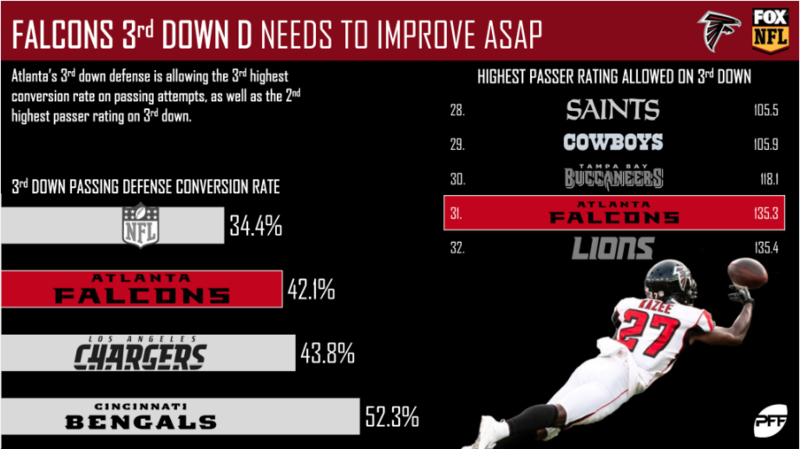 On the ever-crucial third down, the Falcons’ defense has allowed a conversion rate of 42.1% against the pass – the third-highest rate in the league. 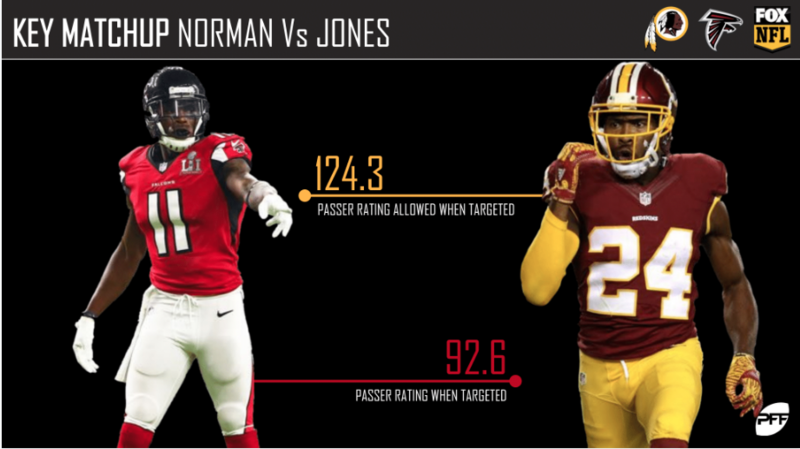 PFF Greenline has projections for the spread, moneyline and over/under of the Falcons’ matchup with the Redskins. Get its picks here.